Powder up! 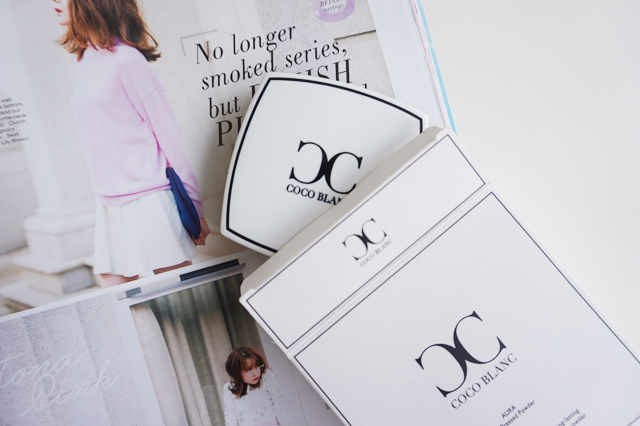 Today post is going to be about a powder that I receive recently. I just love how this powder looks. So luxury! 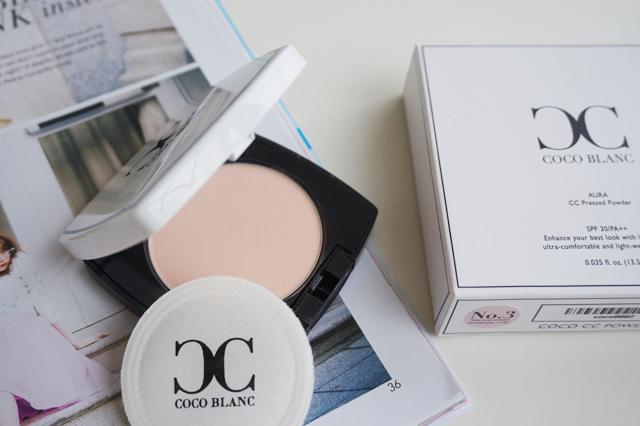 It is the Cocoblanc Aura CC Pressed Powder, a brand from Thailand and this powder is one of the most hot selling powder over there. Glad that Ainareduzan Beauty bring it here to Malaysia for you to get your hand on these. 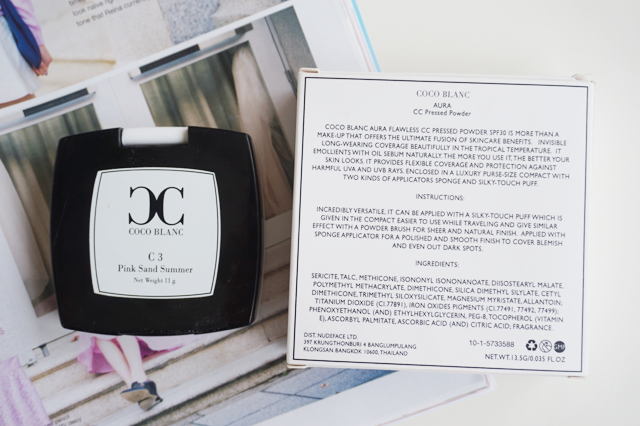 This powder is describe as a powder that will give you a natural dewy finish and glow. It also contains Vitamin E & Vitamin C to help improve your skin from scars. What I like about it. You know me. Of course. Let's take a bit of a moment to admire the sleek packaging. It reminds me of that one high end brand. Wink Wink! This compact comes with a box and it has a nice sponge that you can use for touch ups. I like to use face powder with my favorite face brush. It gives me a nice glow and subtle sheen of fairness. It works great with my CC Cream and BB Cream that has more of a fair tone effect. Has a light texture and smooth finish. What I don't like about it. Might be too fair for my skin. So it works great only on top of my BB Cream or CC Cream. Not the best to be worn alone. That is all I think. Overall & Recommendations. This works really great if you have fair skin. 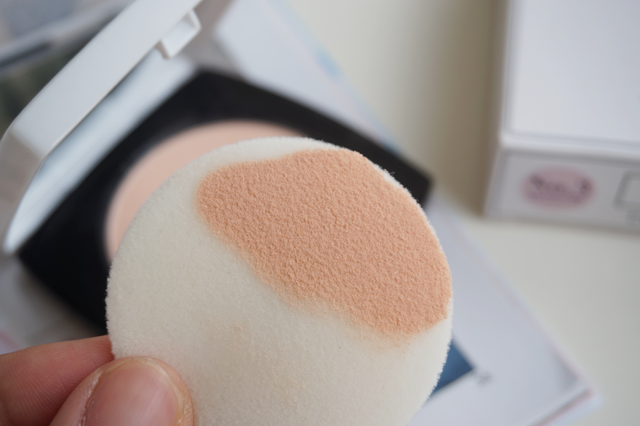 It has a light highlight in the powder that gives you that dewy finish without that "wet texture". As mention above this works great with CC Cream or fair toned BB Cream. 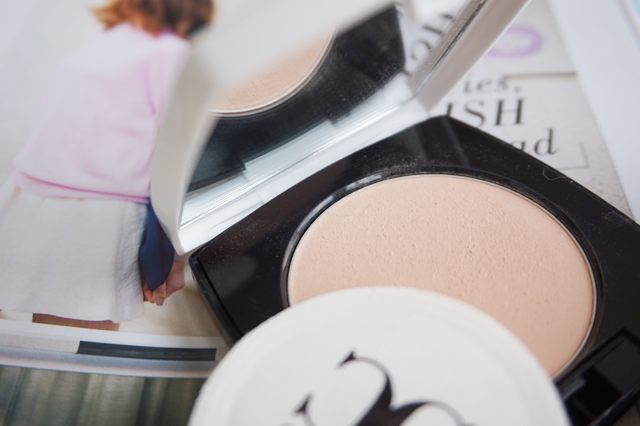 A great finishing powder to be exact. I find that it does not works well with normal foundation. Maybe because my normal foundation is not that fair enough. I might rate this as a sheer to medium coverage. Recommend to you who lare looking for a great pair for your favorite BB or CC Cream and want something that highlights and give you that nice glowing skin. Thumbs up! Don't you just love the packaging? Tanya seller nya ya dear, saya tak jual. saya review je.